Aid to the Church in Need is a Pontifical Foundation of the Catholic Church presented a country profile on Cuba that highlighted the July 22, 2012 death of Oswaldo Payá Sardiñas but failed to mention that Harold Cepero had also been killed following the incident with the car and misspelled the opposition youth leader's name. Its been corrected in the excerpt below. Also reported on a April 2013 violent attack on a Pentecostal pastor who he tried to file a legal complaint against local Communist Party officials. The attack left him with permanent brain damage. ..."And then in July 2012 came the death in suspicious circumstances of Oswaldo Paya, the driving force behind the Varela Project, a pro-democracy movement. The government stated that the driver had lost control of the vehicle but Mr Paya's family said the car had been deliberately run off the road. Mr Paya was a Catholic and, while in many respects his co-religionists saw significant improvements, the experience of some Protestant groups was very different. In 2013, Christian Solidarity Worldwide reported violent beatings of Protestant ministers in different parts of the country. There was criticism of the Office of Religious Affairs and its efforts to control and monitor religious groups – especially with regard to importing religious books and other materials from abroad and receiving donations from overseas." March 2011: Eight political prisoners were released; one being part of a group of 75 people arrested during the “Black Spring” – a government crackdown on so-called “dissidents” campaigning for greater freedom. They were part of the Varela Movement, named after Fr Felix Varela - Catholic priest and independence campaigner. June 2011: Church leaders complained that although the government had authorised Catholic and Protestant religious services in prisons in 2009, permission was not always granted. The situation for non-Christian religious groups was worse, with no provision for them to organise or hold their own services. Religious rights were often violated as a form of punishment, with religious literature confiscated and prisoners denied religious visits – especially prisoners of conscience. September 2011: Some ‘Ladies in White’ were arrested after attending Mass in Santiago to celebrate the feast of Cuba’s patron saint, Our Lady of Charity. The ‘Ladies; were regularly prevented from attending church services. On dozens of occasions Ardisnidia Cruz, mother of political prisoners Marcos and Antonio Lima-Cruz, was prevented from leaving her Holguin house on Sundays for Mass. In 2013 the Ladies in White again reported acts of intimidation. March 2012: Pope Benedict XVI visited Santiago de Cuba and Havana. Weeks before his arrival, monitoring organisations state that more than 100 dissidents had been arrested. During the Pope’s three day visit, about 200 Cuban critics were banned from attending Masses and other public celebrations. Some were threatened with arrest if they left their homes and their phone lines were cut. April 2012: Good Friday was made a public holiday in Cuba for the first time in 40 years, following the request of Benedict XVI. All religious holidays were cancelled after the 1959 revolution. July 2012: Oswaldo Paya, leader of the Christian Liberation Movement was killed in a ‘suspicious’ car crash. He had helped mastermind a pro-democracy movement calling for freedom of speech and assembly for which he had received a number of awards. Mr Paya and fellow activist Harold Cepero, a Swedish politician, were being driven but died when the car crashed. The regime announced that the car had come off the road, crashing into a tree. Mr Paya’s family and another passenger insisted that it had been deliberately bumped off the road. 50 activists were arrested before and after Mr Paya’s funeral Mass. January 2013: In accordance with President Raul Castro’s stated policy to return Church property seized by the revolutionary regime in 1961, officials in Santiago de Cuba announced that two churches and a pastoral centre would be returned. The Secretary of the Provincial Assembly of the People's Power told Archbishop Dionisio Garcia Ibanez that the Church of St. Joseph the Worker and Church of St Benedict would be returned. Further reports indicated plans for the return of church buildings in Havana. March 2013: For the second year running, a government decree made Good Friday a public holiday. April 2013: For the first time in years multiple reports have been received of violent beatings of Protestant pastors in different parts of the country. Additionally, week after week, scores of men, women and sometimes children were physically and violently dragged away by state security agents from Sunday morning services. April 2013: The Pentecostal pastor of a church in Holguin was left with permanent brain damage after a violent attack while traveling from home to the provincial capital to file a legal complaint against local Communist Party officials who had illegally confiscated his car. Similar attacks against members of Protestant churches have increased in the last year. 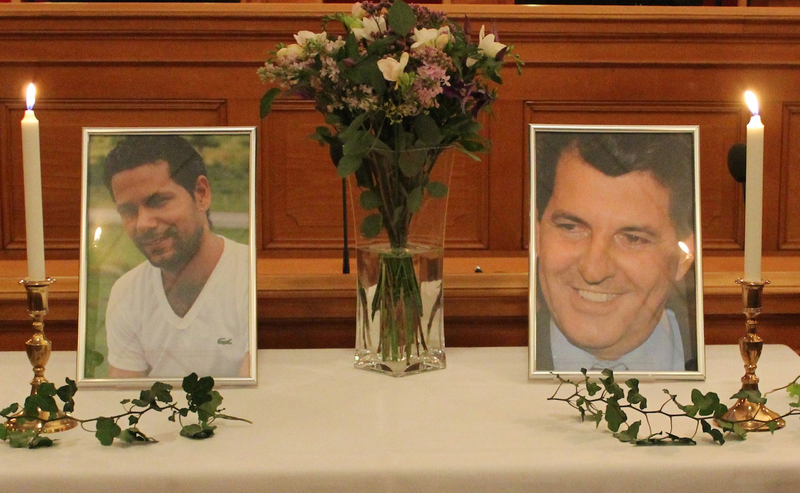 Please help end impunity in Cuba and sign the petition demanding an international and transparent investigation into the deaths of Oswaldo and Harold.